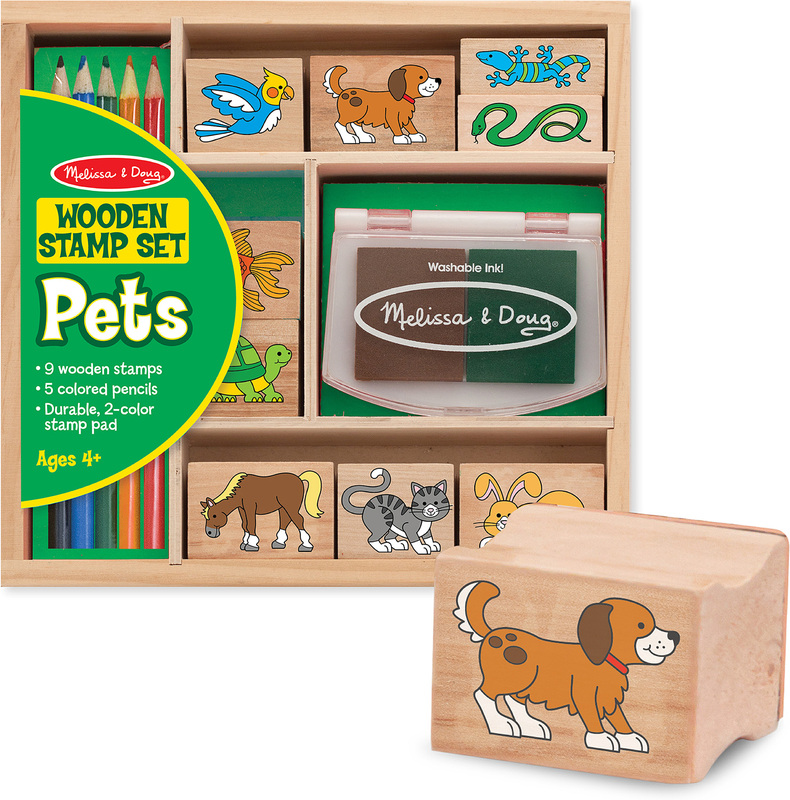 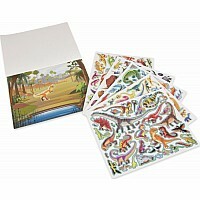 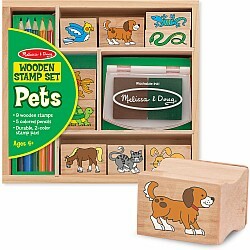 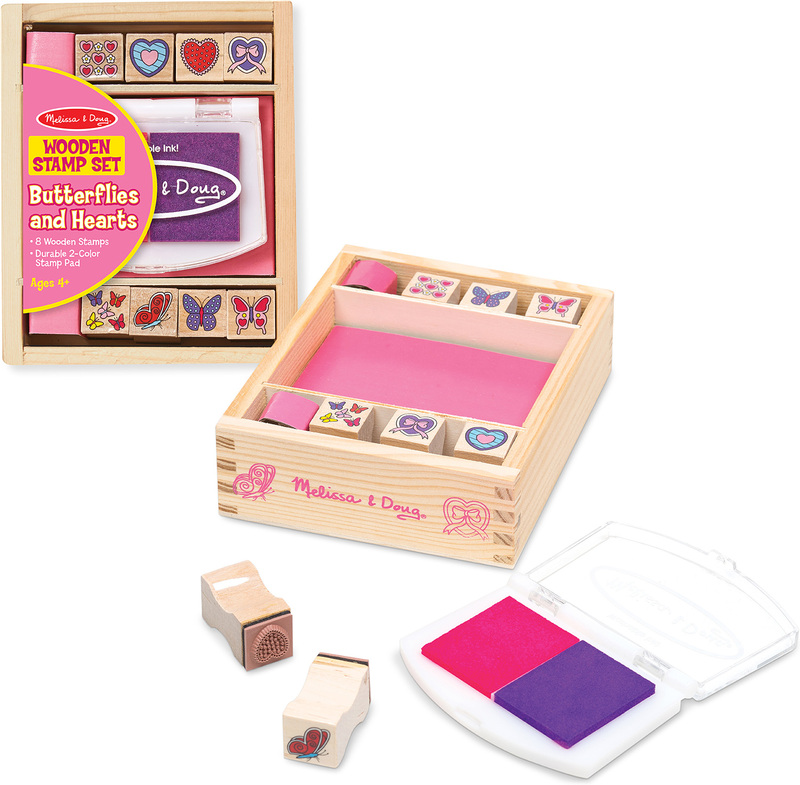 Help your child's creativity gallop free with this Pets Wooden Stamp Set from Melissa & Doug, featuring a dog, a cat, a bunny, a turtle, a horse, and more kid favorites. 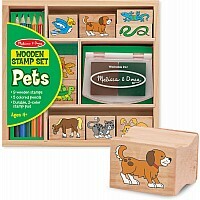 The durable two-color stamp pad, five colored pencils, and nine detailed stamps are all conveniently and neatly contained in a sturdy wooden box. 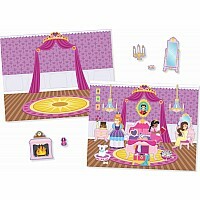 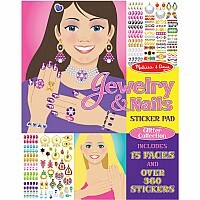 Measures approximately: 1.50 x 8.00 x 8.60 inches..